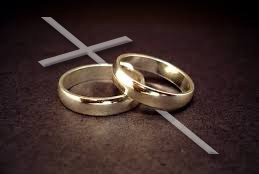 How beautiful, then, the marriage of two Christians, two who are one in hope, one in desire, one in the way of life they follow, one in the religion they practice.… Nothing divides them, either in flesh or in spirit. They are, in very truth, two in one flesh; and where there is but one flesh there is also but one spirit. They pray together, they worship together, they fast together; instructing one another, encouraging one another, strengthening one another. Side by side they visit God’s church and partake of God’s Banquet; side by side they face difficulties and persecution, share their consolations. They have no secrets from one another; they never shun each other’s company; they never bring sorrow to each other’s hearts. Unembarrassed they visit the sick and assist the needy. They give alms without anxiety;… they perform their daily exercises of piety without hindrance.… Hearing and seeing this, Christ rejoices. To such as these He gives His peace. We believe that sharing with couples as they bind their lives together in the Spirit of Christ is one of the most important ministries of the church. A wedding is an expression of your faith, a witness of your love for each other, and a time of deep commitment. We look forward to working with you to make your wedding a memorable day and helping you prepare for a healthy, growing marriage. Marriage is an opportunity to become one with each other and one with God. It is a journey intended for a lifetime. It is a journey that traverses the precarious and sometimes vexing roads of life. It is a journey that also cultivates joy and belonging that ultimately transcends the union. Shalom, oneness with God’s creation, is the journey’s destination. With your partner and with God that journey is never alone. Inquiries about weddings should happen at least six months in advance to allow for proper planning and scheduling of pre-marital counseling. The pre-marital counseling at Newark United Methodist Church consists of 5 one-hour sessions with the couple. If you are affiliated with our church and would like to schedule a wedding, please contact the church office (302-368-8774) during normal business hours and ask for our Office Manager, who will be glad to get you started in planning your wedding service. The scripture is Genesis 16:1-6.